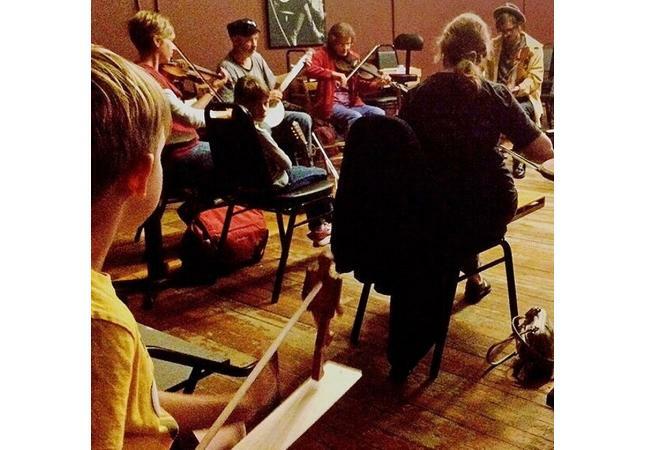 Join Flying Pig Fiddle & Banjo on fourth Saturdays for an exuberant music and dance jam in the living tradition of southern Appalachian Old-time music played by ear. Bring your fiddle, 5-string banjo, guitar, mandolin, dancing shoes, or home made/found rhythm instruments. Also consider bringing innocent bystanders who need a dose of rowdy Old-time, taught, walked and danced southern squares. — Learning tunes and playing nice together. — Building, finding and playing instruments of rhythm such as washtub bass, washboard, fiddlesticks, pitchfork, limberjack, mouthbow and more. — Southern Old-time square dance and dance calling. All ages are welcome. 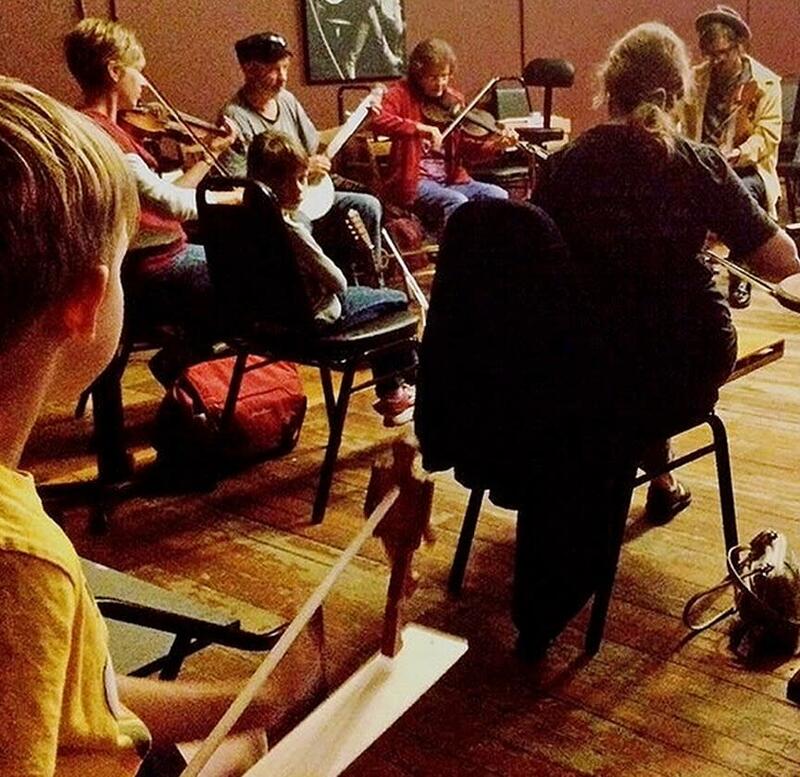 Acoustic stringed instrument players will need basic playing skills, ability to tune the instrument. Experience the freedom of paperless music. Curiosity, enthusiasm and inclination toward silliness and high spirits encouraged! Audio recording devices are permitted.